Back in the day when I had my children, I didn’t have the luxury of swings, baby wraps, and a car to drive baby until he fell asleep. My days boiled down to feeding and rocking until my children fell asleep and I put them into their crib. But today I hear from mothers who are having baby sleep issues and don’t know what to do next. Time to do some research. We spend a lot of time finding the right crib and mattress, yet baby starts wailing when we put her down. We know the crib is the safest place for an infant, but how many times have I heard that babies won’t sleep in the crib and parents get into the habit of bringing them to their own bed. This may work with a newborn infant, but after babies hit the six-month mark, their sleeping habits become harder to change. The book Sleeping Through the Night by Jodi Mindell, Ph.D., associate director of the Sleep Center at The Children’s Hospital of Philadelphia, assures parents that it takes patience and persistence, but you WILL be able to get your little one into a dream routine. Why does my baby only want to sleep in my arms? Babies love to feel the warmth and softness of their parent’s body. The baby knows what mommy smells like and feels like – it’s comfort and security. In this case the experts say to make the crib feel more Mom-like. Make your own baby burrito by swaddling him in a blanket that has been draped on you for awhile to pick up the scent, or for babies past the swaddle stage, a sleep sack may work. If baby still cries, standing next to him and massaging his back or belly may help him drift off to dreamland. What about slings? Yes, it’s skin-to-skin contact and this kangaroo care is soothing, but how long does a mother do this? Dr. Mindell says you may have some tears as you try to wean your baby from this carrier to the crib, but it’s a must. I, for one, couldn’t carry a growing baby too long as it would kill my back. Mindell feels that you need to put the baby down in the crib when sleepy and the goal is for the child to fall asleep on her own. This method takes time but try to be consistent, so you don’t confuse the baby. Some babies love the motion of a swing or driving in the car seat. I know parents who drive in the neighborhood to put their baby to sleep. Dr. Mindell suggests beginning by eliminating the motion when weaning from this activity. For example, put the baby in the swing but do not turn on the motor, or place the baby in the stroller but do not walk. When the baby is used to that and nods off, then put your child straight into the crib when you see her rubbing her tired eyes. 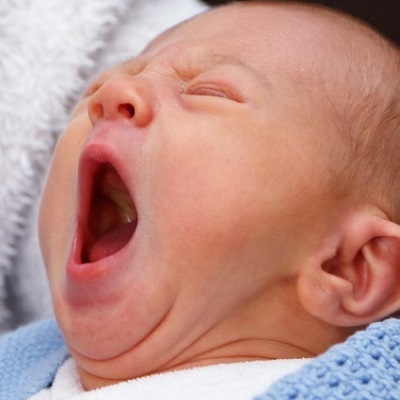 Sleep training is a process and will take some time, but in the long run both baby and parent will be happier.